If you’re here and you need to get money someplace else, you need a wire transfer. Banks do it for customers. And Kwik Check Cashing does it for our preferred customers – that would be you. It’s not unusual for families to be spread all over the world. And sometimes, adult children here need to send funds to support parents back home. There’s no time to waste with sending a check, waiting for it to arrive by mail and then waiting for it to clear your parents’ bank. Your parents need money now. That’s what a Kwik Check Cashing Wire Transfer can do. We can put cash right in their bank account. We can do the same for business. 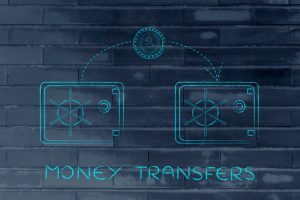 If you need to move money fast, a wire transfer is a way. And Kwik Check Cashing can help.